Bad Breath Causes, Remedies, Cures. Learn the Facts. Since bad breath (halitosis) is such an embarrassing problem, many individuals feel apprehensive about discussing it with their dentist or healthcare professional. In many cases, this leads to misinformation about what causes bad breath in the first place. Listed below are some of the most common myths about bad breath and halitosis. Myth: Halitosis comes from the stomach. FACT: Not true. There are a series of valves that block the regurgitation of our food in usual circumstances. These valves also block any stomach odors from coming back up the esophagus and into our throat and out our mouths. Only in rare cases of certain illnesses can this occur. 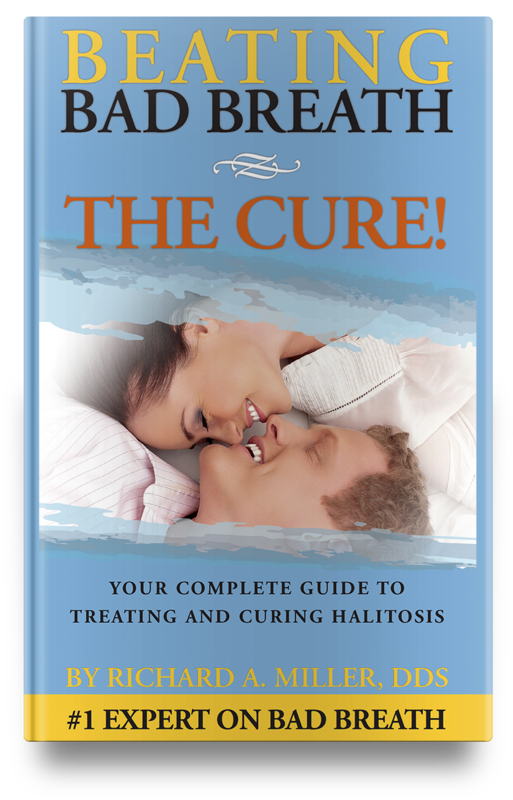 Myth: There is no cure for halitosis. FACT: There is a Total Cure for bad breath. However, don’t be misled by the companies that advertise a cure or a 99% cure. What they offer is temporary. More Info: Read Dr. Miller’s blog article on Why Professional Treatment of Bad Breath is the Only Lasting Cure and Bad Breath Cure: Changing Lives for Halitosis Sufferers. Myth: If I brush or scrape my tongue my bad breath will go away. FACT: Scraping the tongue only removes the top layer of a deep accumulation of bacteria, dead skin cells, dead blood cells, food, and debris which make up the cause of the odor of bad breath. More Info: Read Dr. Miller’s blog articles on Why Your Tongue Scraper May Not Be Doing the Job and Tongue Rejuvenation: A Permanent Cure for Chronic Bad Breath. Myth: Mouthwashes, mints, and gums can keep me halitosis-free. FACT: Companies that sell these products would like you to believe this, however, most all the products simply cover-up the malodor with a stronger, more pleasant smelling odor. This is true of every product that has a moderate to strong taste or odor. More Info: Read Dr. Miller’s blog article on The Ideal Mouthwash and Toothpaste. Myth: Bad breath is caused by the foods I eat. FACT: While it’s true that onions and garlic, to mention just two foods, will taint your breath, they are not responsible for ongoing halitosis. More Info: Read Dr. Miller’s blog article on Three Ways to Eat the Foods You Love and Maintain Fresh Breath. 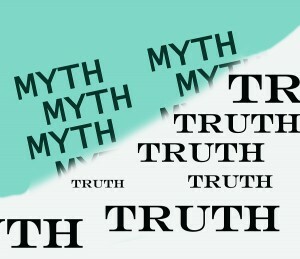 Myth: Better oral hygiene will solve my breath problem. FACT: To an extent, that is true, particularly when there is gingivitis or gum disease present. However, the problem is much more complex as is the treatment and the cure. So establish good oral hygiene practices and they will still serve you well. 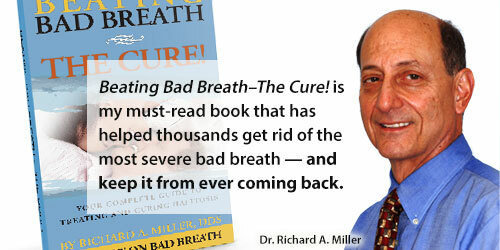 Dr. Miller’s book, Beating Bad Breath– The CURE!, will shine new lights on what you can do to correctly treat bad breath.